A unique take on the weaponry and symbolism of the Crusading medieval knights, the Templar Knight Small Sword has a narrow blade structure made of stainless steel with subtle Celtic-inspired etching down the length of its long ricasso. The slim quillion features two opposite angled arms, with one turned towards the blade and the other towards the high gloss black grip. A short, silver tone pommel finishes the replica Crusader weapon, minutely detailed with hatches and a small star. The included scabbard is made of steel, perfectly matched with the hilt of this decorative knight sword. A red cross decorates the fitting that secures the carrying rings, and further filigree detail appears just further down. The endcap of the scabbard is flat and rounded, with a delicate floral engraving upon its tip. 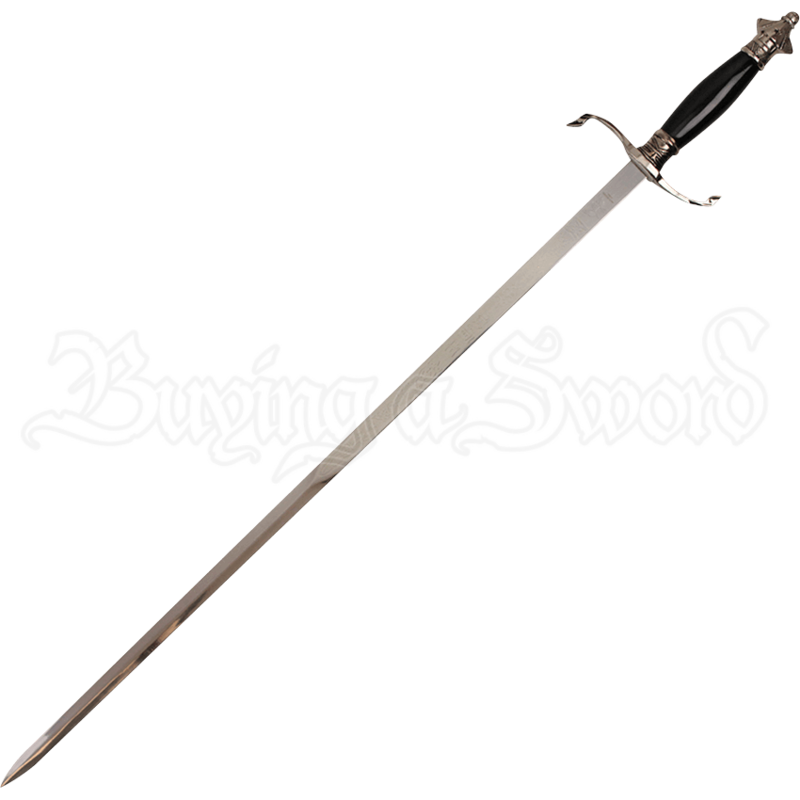 An outstanding addition to any sword collection, this Crusader inspired sword makes a fantastic gift for fans of medieval history and chivalrous orders.